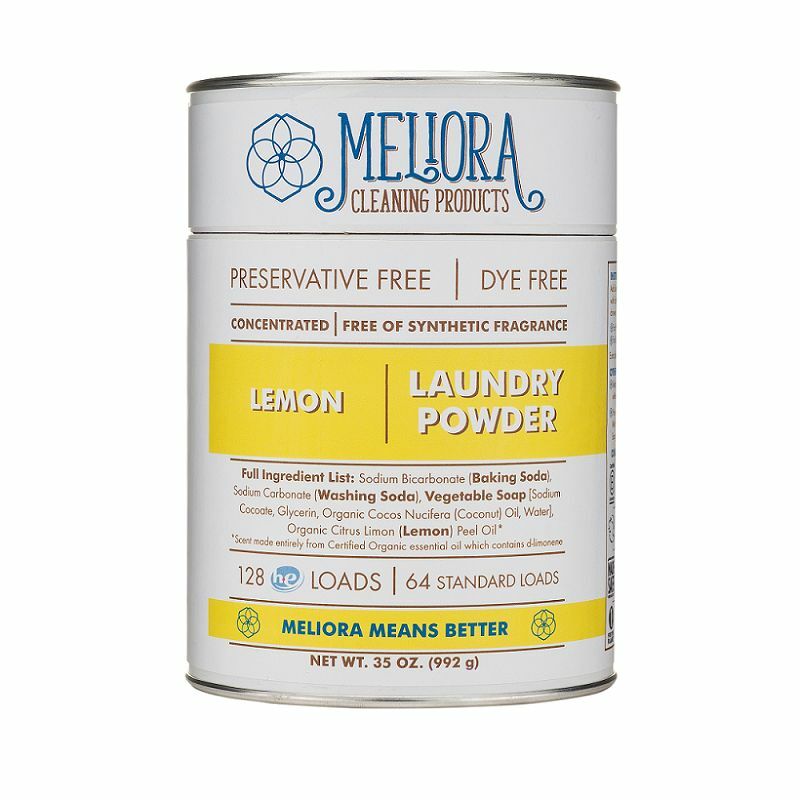 Meliora Laundry Powder, 64 Loads Lemon - 35 oz. 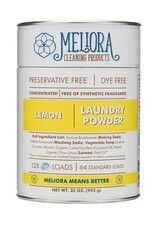 - Springfield Mercantile Co.
Home / Meliora Laundry Powder, 64 Loads Lemon - 35 oz. Meliora Cleaning Products' Laundry Powder will become your go-to option to make your laundry better for your family and your home. We use only what you need to clean your clothes. All our Laundry Powders are free of fragrances, dyes, preservatives, and brighteners. 128 HE (64 Standard) Loads: Our best seller. A great value, too. The cardboard/steel canister is easy to recycle or reuse. Comes with or without a scoop. Net Wt. 35 oz. 500 HE (250 Standard) Loads: If you're a heavy launderer, this is for you. This refillable and recyclable tub holds a LOT of Laundry Powder. Comes with or without a scoop. Net Wt. 138 oz.